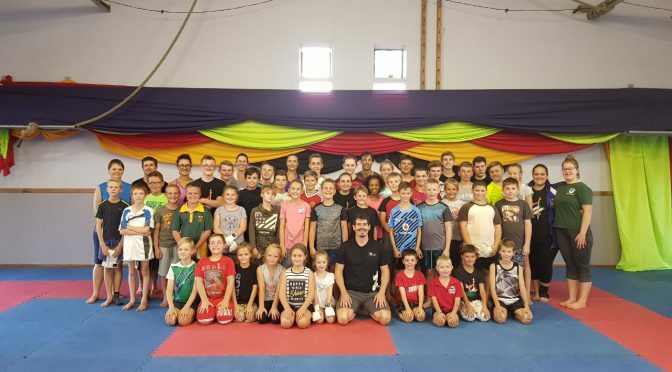 Solis Ortus is proud to announce that 78 students are currently preparing for the JKA Gauteng Championships on 23 & 24 March 2018 at the Ellis Park Indoor Events Arena. Most students compete in both events, kata and kumite. With dedication, hard work, sweat and a lot of repetition, we are persistently enduring our extra training sessions on Fridays. How privileged we are to come together as a huge team, representing our club and region to achieve our Gauteng colours. 58 Solis Ortus students will participate in the Novice sections, White to Red belts and Special Needs events on Friday; and 20 students in the Elite sections Brown, Junior Black and Black belts on Saturday. A HUGE thank you to Sensei Eugene who dedicated his time and sharing his incredible training tips in preparing us for this prestigious tournament. We are READY Sensei! We are proud to be a Solis Ortus student! We LEARNED from the best. Stay focused, give your all, and remember to enjoy the journey. You worked hard for it. Remember: “Endurance is one of the most difficult disciplines, but it is to the one who endures that the final victory comes.” Gautama B. Looking forward to see you all at our last hard training session on Friday afternoon.